Bed edging is not only an aesthetic feature, but one that will keep your landscape healthy and easy to maintain. 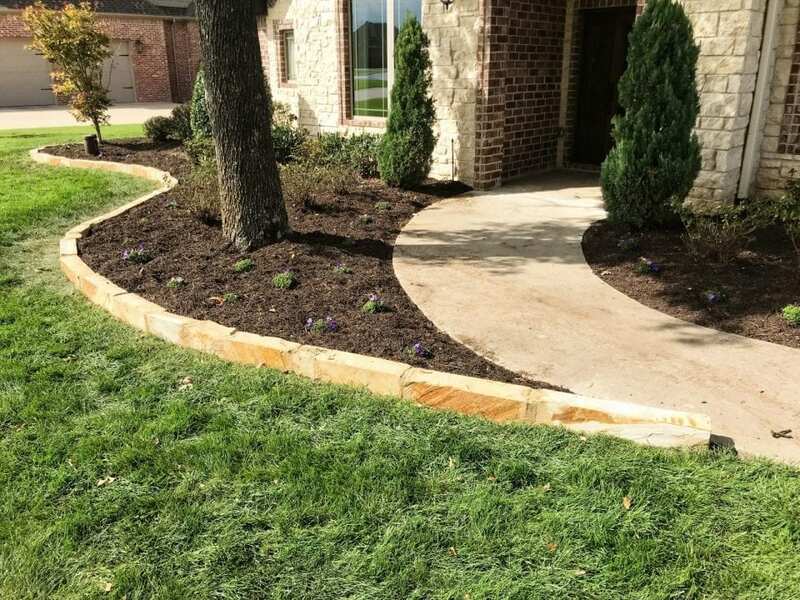 The edging creates a bold section that divides your lawn grass from the planted area. This allows mulch installation to be cleaner and keeps the mulch inside the area, letting your grass look simple and clean. This is especially true for the more rainy seasons we have here in Arkansas which can lead to movement in your mulch and topsoil. 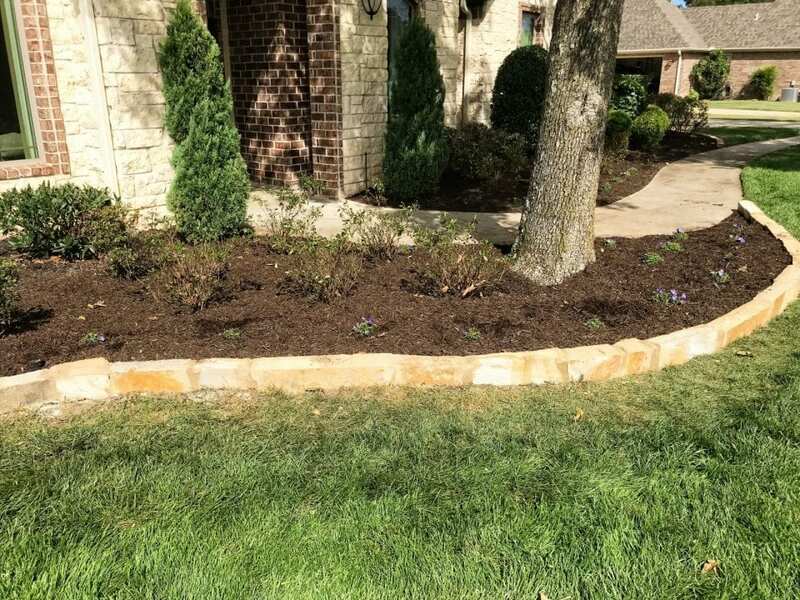 Want to learn more about our bed edging services? Contact us here or call us – 479-856-9800. There are many factors to consider when building a retaining wall, such as the soil involved and whether or not there is something heavy above it. We consider all of these things and then build a safe and sturdy wall that meets your needs. We can deign a retaining wall that will enhance and add elegance to your yard, while still being durable and functional. Our retaining walls won’t crumble and will require little maintenance. Although their main function is to retain soil, they can be aesthetically pleasing and add value to your home, even separating one area of your yard from another, allowing you to add a garden to your yard, or directing the focal point to a specific area. Our retaining walls are made from concrete blocks, which are small enough to allow the wall to have curves and twists when needed. Your retaining wall can be made from a variety of colors and textures, giving it a unique look that fits your yard. It can complement the areas around it and help to give your yard an overall cohesive look. Our retaining walls are sturdy and can withstand hard weather without cracking, crumbling, or tilting. While their main use is to retain earth, our retaining walls fulfill this function while still being beautiful and coordinating with their surroundings. Call us today 407-947-5730 or contact us here and we will be happy to answer your questions and schedule an estimate.